Chicharronera tio charlie, a beautiful and spacious restaurant in Naranjo, is a 5-minute drive from the San Jose Airport. The spot provides unbeatable dishes for both locals and travelers. As you visit this spot, you will have the best lunch and dinner in the entire area. Since the restaurant easily gets full, you’d better make a reservation. The menu offers delicious dishes, such as spaghetti, hamburgers, Gordon Blue, ceviche, Lasagna, fish, Chicharrones, Casado, tapas, and more. The food is served in large portions. 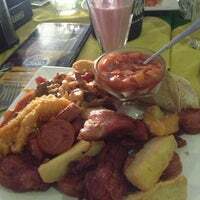 It comes loaded with many other foods, such as salad, fried plantains, beans, French fries, rice, and pork belly. To whet your appetite, you can order ceviche. Then, you can order fish; it is fresh and delicious. You can also ask for spaghetti, which is sprinkled with tasty gravy, prepared with fresh ingredients. It could be with basil, too. You can’t miss out on Chicharrones, one of the restaurant’s specialties. They come in a large plate with lean meat. Aside from the tasty foods, the menu also has flavorful drinks that you can order. The restaurant provides the clients with great services; the staff is friendly and professional. So, visitors feel at home with them; the communication with the clients is smooth, thanks to their fluency in English. If the clients ever get dissatisfied with their entrées or need more food, the staff always sees to it that their needs are met. Interestingly, there is a funny waiter who always delights the clients with his jokes. Given the locals’ low income in Naranjo, the prices are way more affordable than other places. Manuel Antonio is one of the fantastic and beautiful areas in Costa Rica. If you want the combination of a perfect taste of food and good view, Restaurante El Mirador is one the best options. Each customer they had, likes every meal as if it is his first meal. If you search for Costa Rica gems, this is one of them. 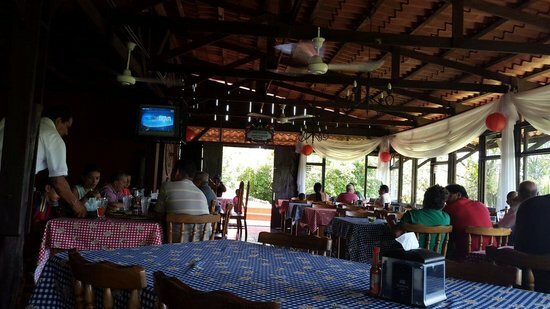 If you have just arrived in Naranjo, Costa Rica, and looking for a good restaurant to eat something, we definitely recommend you this one. The restaurant is part of a small hotel in case you would like to stay in there, there are some beautiful cabins under the name of Chayote Lodge. And oh my god, this restaurant has an incredible view. You would be amazed at how beautiful and romantic this looks. And not only the view, everything there would make your experience unforgettable, in a good way though. Another Naranjo restaurant, but this time it’s serving everyone’s favorite food in the world, Italia PIZZA. Pretty much if you asked anyone what’s their favorite food, the answer would be Pizza, so Naranjo didn’t forget to carry an Italian Pizza restaurant for you. It’s also 100% original Italian, the thin and crusty Pizza, you know there are times when you go eat Pizza and it’s so bulky and juicy! it’s not the case here. If you are in Naranjo, Costa Rica, and looking for a great restaurant to have a bomb seafood meal, then go check “Momentos” out. 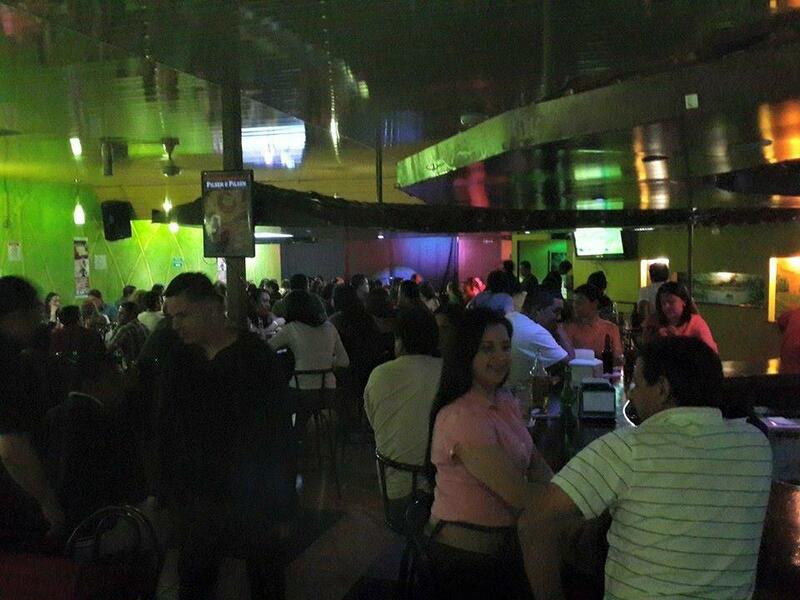 The place is not only offering seafood and South American food but also is having a full bar. Some guests even considered it to be more a bar than a restaurant. Since the town is somehow small, the place is one of the few outstanding features of it. It’s pretty much the nicest place there.